Surety Bonds in Burien, WA - Pollock Insurance Inc.
A Surety Bond is a basic term that describes a bond. Surety bonds are underwritten differently than insurance even though they are sometimes mistaken for insurance, when in fact surety bonds are different. A Surety Bond is essentially a guarantee. What exactly the bond guarantees depends on what language is written in the bond. With surety bonds there are always 3 parties involved. The Principal – the primary business entity who will be performing a contractual obligation. The Oblige – the party who is the recipient of the obligation. The Surety – who ensures, guarantees the principal’s obligations will be performed. Sureties are similar to insurance companies. This agreement says that the Surety agrees to uphold – for the benefit of the oblige – the contractual obligations made by the principal, if the principal shall fail to uphold their agreement with the oblige. 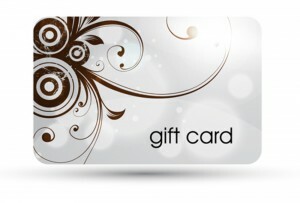 Often consumers require a bond before they will agree to enter a contract with a contractor. A Washington Contract Surety Bond guarantees a specific contract. A Washington Commercial Surety Bond guarantees the terms of the Bond form instead of a contract. If you would like more information about bonds, please call a licensed professional at Pollock Insurance, Inc. at 206-244-3566. 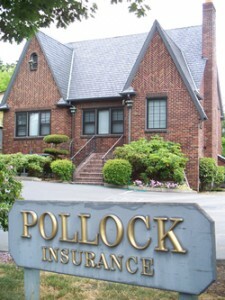 I’m a new customer with Pollock insurance the last 6 months & I find them to be very friendly & helpful with all my needs. Plus they had better prices than MetLife which I was with for 15 years. That’s why I switched to Pollock insurance. That’s the truth.Clay H.
Our family has been with Pollock for years now, and they have always offered the utmost service and productivity in every issue that has come up. I recently had a serious accident, and they not only handled the replacement of the vehicle very fairly, but also in a timely manner.Brady W.
We have used Pollock for at least a decade and have always received excellent customer service. They took the time to become familiar with our business which is very important to us as a specialty contractor. We would definitely recommend Pollock to any business. Karen G.
I can't say enough for Andrea and her staff, they are very professional and for what coverage we need for our personal and business needs are they are very reasonable. When you drive by the location that they are you would never know that an insurance company has set upSophia M.
Great customer Service! They are the best!. I have been using them as my broker for the past 3 years. They are the best that I have ever dealt with!Karl M.
Love our Service? Consider Leaving Us a Review! © 2018 Pollock Insurance, Inc.